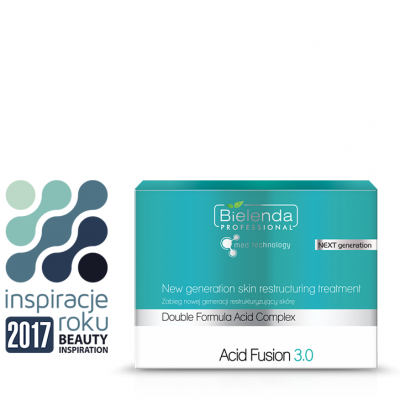 Reduces discolorations, evens out skin tone, slows down skin aging processes, normalizes sebum secretion, reduces inflammation. Mask leave-on time is 7-10 hours; the frequency of treatment and the exact leave-on time of the mask shall be determined by a trained specialist performing the treatment; a treatment cycle shall consist of 1-8 treatments performed every 7-10 days. 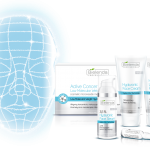 immediate smoothing of the skin, brightening of the skin and reduction of visibility of inflammation, no peeling or flaking of the skin. prior to performing the treatment, it is necessary to exclude any contraindications and to sign the Client Consent (supplied with each treatment kit), professional training is mandatory. 1. 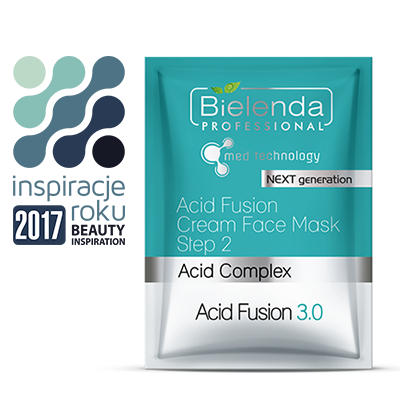 Thoroughly remove make-up from the treatment area with the use of Bielenda Professional products, selected for the skin type of the client (full offer of make-up removal products is available on page 54 of the catalog). 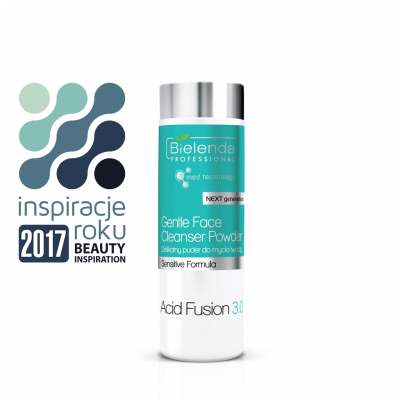 We recommend using the Acid Fusion 3.0 Delicate Face Cleansing Powder. 2. Thoroughly degrease the skin, wiping the area submitted to treatment with a dust-free cotton pad or a gauze soaked with Pre Peel Spray. 3. 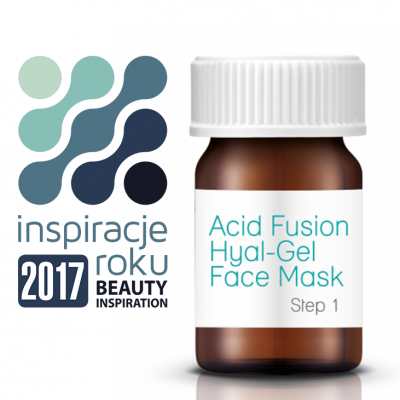 Apply the Acid Fusion Hyal-Gel Mask Step 1 to the treatment area and massage the product in. DO NOT RINSE OFF! 4. Then, apply the content of the Acid Fusion Cream Face Mask Step 2 sachet, massage in and leave to absorb. DO NOT RINSE OFF! Inform the Client that he / she may experience a slight burning sensation, which shall disappear after a few minutes. NOTE! Use disposable gloves when applying both masks. 2. REGENERATION – in the morning and in the evening, Regenerating & Soothing Face Cream. NOTE! It is important to ensure UV protection using High Protection Face Cream SPF 50+ & PA++. 3. MAKE-UP – Cover Cream Soothing Tinted Face Cream. It covers potential redness, sooths tension and stinging sensation, as well as protects the skin.